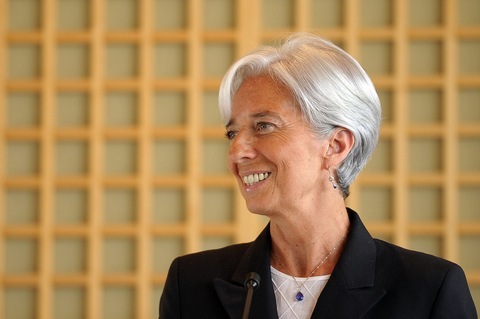 Christine Lagarde was nominated Wednesday to head the IMF. Photo by Dominique Charriau/Getty Images. So the synchronized French swim champ with accent-free English whom we interviewed last summer in Paris, Christine Lagarde, will run the IMF. What did we learn from that interview? 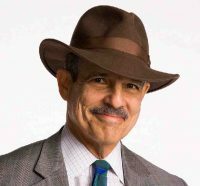 Paul Solman: How bad is the threat now? Christine Lagarde: What we have done for Europe at large I think is a very massive plan, totally unexpected, totally counter-treaty, because it wasn’t scheduled in the treaty that we should do a bailout program, as we did. Paul Solman: This is this May 9 bailout that you did. I think you said at one point this was the most expensive night in the history of the world. Christine Lagarde: Well, no, no, let me be more specific about it. I was asked whether it’s the beginning of the crisis, the middle of the crisis, or the end of the crisis. And I said, we are in the middle of the beginning of the end. The crisis has really hit its peak. Paul Solman: Economically, France vs. Germany seems to mirror the main sort of economic issue of our times, or of right now, which is stimulus vs. austerity, or bailouts vs. budget cuts. Europe can’t do both, can it? It can’t do everything. Christine Lagarde: Yes, it can. We always we have to strike the right balance between continue to stimulate. And most of us still have a little bit of stimulus under our foot in order to accelerate that fragile growth that has picked up in 2010. Paul Solman: “French and German banks hold a lot of Spanish and Greek debt. You don’t worry about them? Christine Lagarde: As I told you, I’m minister of economy and finance. Christine Lagarde: I worry all the time, but I don’t worry specifically about my banks. Paul Solman: You don’t worry about French banks. You worry just generally. Is she gritting her teeth today? She’s become one of the most important people — and perhaps the most important woman — on the world economic stage. Will Lagarde now lecture the U.S. on fiscal responsibility? Will she consolidate the Euro-bailout that Strauss-Kahn (and she) were so pivotal in cobbling together last year? She’ll have more credibility to do so than most.